If you want to move your user data from an old Mac to a new one, you can do so by transferring the necessary files over. Time Machine is not required. 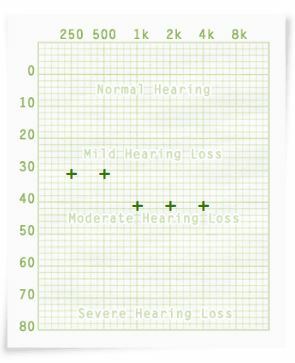 There are quite a few sites online that claim to be able to test your hearing (or rather, your hearing loss). However, many of these are produced and maintained by companies who make or sell devices to help you hear better. So there’s a chance that the results may not be totally impartial. Checking out a bunch of files and folders can be a tedious process. Here is a way to quickly preview files in Ubuntu without having to open them. Windows: A Sharper Scaling is a single-purpose app that increases the size of an image while preserving an impressive amount of detail. Compared to conventional image upscaling methods, A Sharper Scaling almost pulls off a magic trick. A Clone Of Windows. Free And Open Source. Seriously. If you want to set up a basic computer to run little more than a web browser, perhaps to repurpose an old slow machine, Windows is probably your first choice. That’s the case for most people. Why Windows? Because it’s been around for 30 years and everyone knows how to use it. Posted in software, WindowsTagged ReactOSLeave a Comment on A Clone Of Windows. Free And Open Source. Seriously. It is a known issue that a hacker access the webcam and mic on your device without your consent and awareness. You can take the help of a tape but it can’t be considered a wise solution. An ex-NSA hacker has created an anti spying tool for OS X which alerts you when an application tries to access the FaceTime camera and mic. Developer Linuxium has released different Ubuntu builds for small Intel-based PCs that are based on Bay Trail and Cherry Trail SOCs. Thanks to kernel patches, the users won’t face problems in HDMI audio, Wi-Fi, Bluetooth etc. while using Linux operating systems on such device. Disposing Of A PC? Nuke The Drive First. Deleting your files isn’t good enough. Not even if you empty the recycle bin afterwards. Nor is formatting the drive. There are plenty of ways to recover data in such circumstances. Instead, you need a specialist program that can wipe the entire drive by storing random data onto every part of it, multiple times. Posted in hardware, privacy, Security, softwareLeave a Comment on Disposing Of A PC? Nuke The Drive First.